You are here: Home / Issues / At community organizations and churches who needs to take the food safety course? Please contact Environmental Health at the Chief Public Health Office at 902-368-4970 or email to envhealth@ihis.org to discuss how the food premise regulations may apply to your business/organization or activity/event as well as options for meeting food safety requirements. Upcoming food safety course are listed here on the government website. Examples of low-risk food include: bread, rolls, loaves, sweets, preserves. 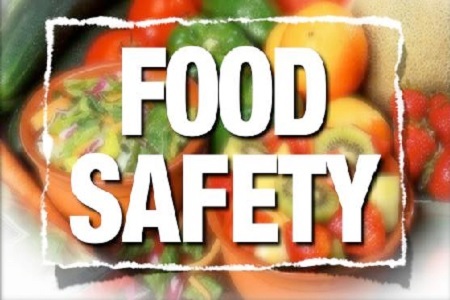 So, in summary, this means at a church or community organization that is serving food that is NOT low-risk must have one person present at all times who has successfully completed the food safety course when the food is being prepared or served at the organization premises. This means at least a few people should have the course at an organization so that someone can always be present who has it. Their food safety course certificates should be displayed at the organization premises. They need to take the food safety course again at least every 5 years. Also the person who has the food safety training needs to train / instruct those who don’t so they handle food safely. training program recognized by the Director. food hygiene training program recognized by the Director. public health official on request. The primary goal of this program is to prevent food borne illness through consultation, education and enforcement of regulations. Detailed inspections of all food premises in the province (approximately 1200 – including grocery stores, slaughter houses, eating establishments, and licensed premises) are performed on a regular basis. Public education (both on-site at establishments and formal classroom training) is an integral part of the food protection program. This program also involves investigating complaints and suspected food poisoning cases. Prevent food preparation mistakes that lead to disease outbreaks and possible damage to operator reputation. Give staff and management confidence that food handling practices are in keeping with recommended practices. Food service operators and staff as well as the general public. Q. What training requirements are necessary to work in the food service industry? Question: Can Potato salad be made at home and then transported to church supper, if it meets all refrigeration and handling guidelines or should it be made onsite at the participating church supper function?